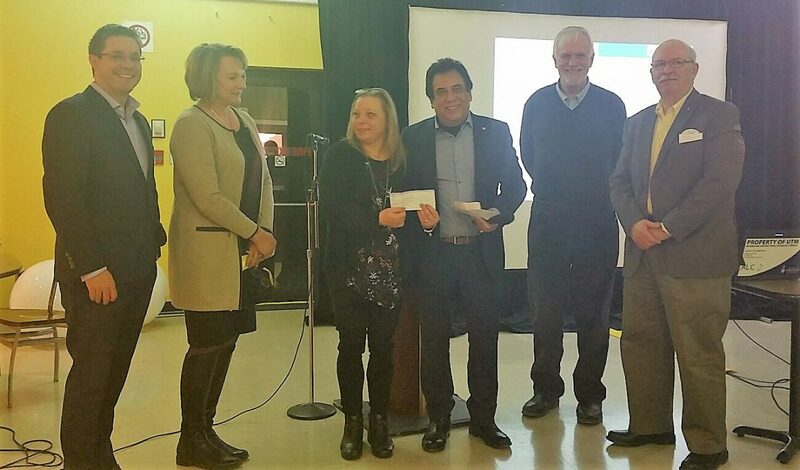 On Feb 06 2018, the Streetsville Rotary Club Presented a $2000 cheque to Lynn Ward , the Executive Director at Armagh house for the renovation of the Conservatory. Armagh is a second stage shelter for women and their children who are the victims of domestic abuse. It is the only such shelter in the City of MIsssissauga and helps women throughout Peel Region. For several months the Rotary Clubs in Mississauga have been discussing with Armagh, through their Executive Director, Lynn Ward, the renovation of the conservatory.